Oh yes, this does look amazing. I’ll have to give it a try when the hubby returns home from Ohio. Thank you so much , pinned for later! Absolutely delicious! What a great classic recipe that I know my family would love. We have a lot of zucchini here that needs to be eaten – pinning for later. My son has been hooked ever since he first tried a zucchini omellette at grandmas house. The cheesy bake looks pretty tasty, just might have to give it a go this weekend! 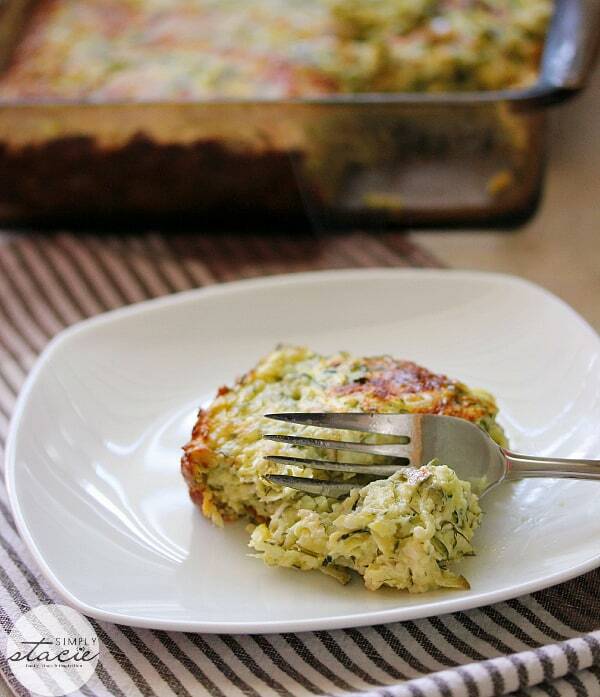 Pingback: Zucchini, Tomato and Potato Casserole - Frugal Mom Eh! Oh man this sounds amazing!!! 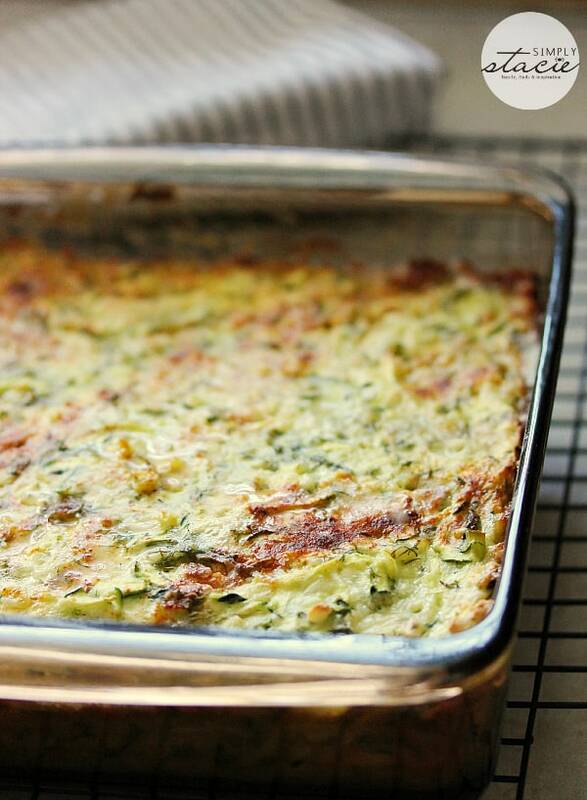 I make a zucchini lasagna that I just love so I can only imagine I would love this too! 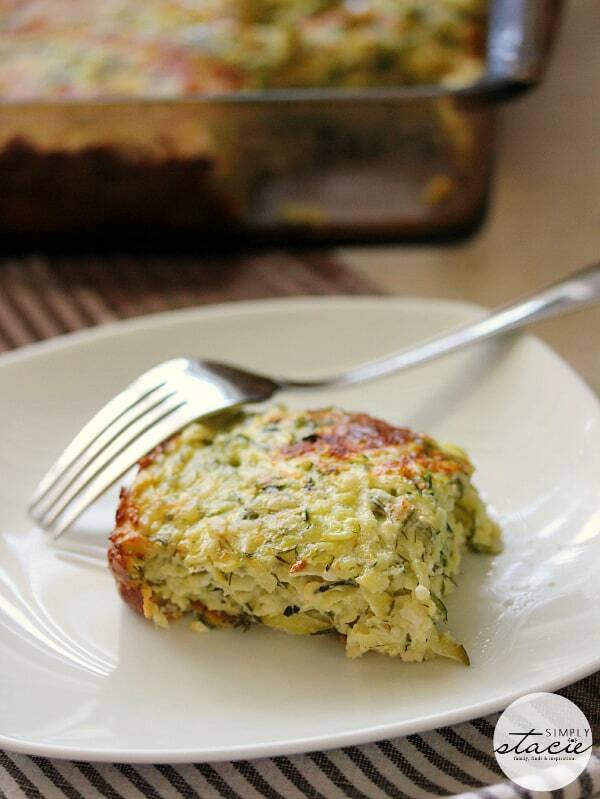 I’m not usually a fan of zucchini, but this recipe looks and sounds delish! Yum, this looks so delicious, I can’t wait to give it a try. This probably makes a great breakfast as well, thank you for sharing this recipe. no reference to the green onions in the ingredients, how much do you use? Oops that was in there by mistake! I didn’t use green onions. We have more zucchini than we can handle. Perfect recipe for us. Thanks for sharing! This looks AMAZING! 😀 Looking forward to trying this! Definitely one to try. Thanks! I love zucchini,looking forward to trying this! 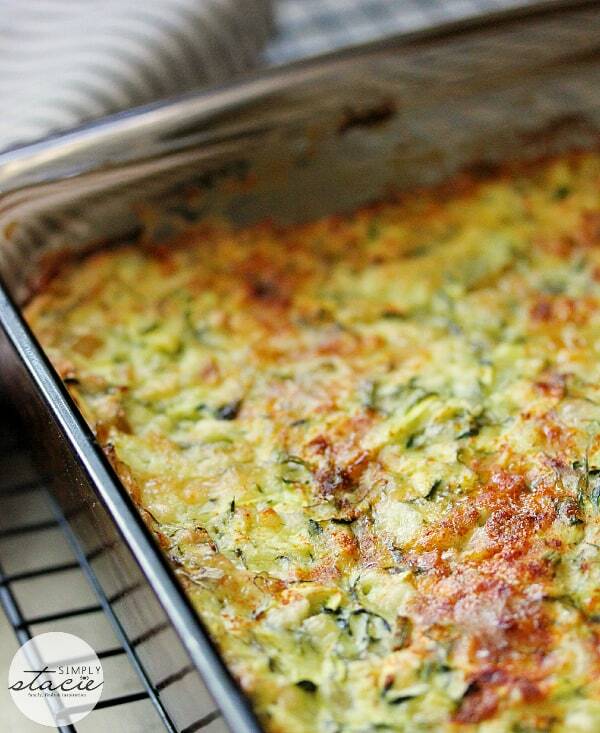 We are growing zucchini so it’ll be cool to try out this recipe. That’s my kind of meal.I found smoked mozzarella and my lasagna was great so it would be good with the zucchini. Yum. This recipe has everything I like so I’m definitely going to make it! This looks delicious! I can not wait to try it! Thanks for sharing. Your recipes look sooo good! Can’t wait to try them. Thanks for sharing them at Foodie Friday. Hi, This sounds really yummy! What size zucchini are you using, or can you estimate how many cups? Some of mine are really big! Thanks! They were about medium sized. It worked out to be about 1 to 1/2 cups. Thanks Stacie. Just one more question… You said “It worked out to be about 1 to 1/2 cups” Did you mean to type 1 to 1.5 cups? Is that per zucchini or the grand total for the whole recipe? Thanks again, and sorry for being such a pest! In total and yes 1 to 1.5 cups (sorry typed too fast). I don’t think it would hurt if you used more though. The zucchini I used were ones from the grocery store so not as big as the nice garden zucchini you can find. I’m looking forward to making this this week. Look for Drunken Goat cheese. This looks great! Do you need to get the water out of the zucchini before baking? I’m wondering if squeezing a bit of liquid out of zucchini and adding some merlot would be a sub if using regular cheddar? HI Sheryl – Squeezing the water out won’t hurt so you can do that if you like. I’d probably just use regular cheddar and leave out the merlot though. Any cheese you have in your home should be ok! I love zucchini. This sounds like an amazing recipe I know I will like. I’ve got to try this for my family. It looks delicious. This looks super yummy- I love casseroles especially this time of the year. Dill with asparagus sounds very interesting indeed-thanks can’t wait to give it a try. Your food always looks so delicious! I love cheese and Zucchini together because it is so delicious! I will have to make this for my family soon! An Excellent cheese delivery system! 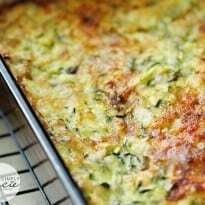 I love zucchini in casseroles because of its mild flavor that blends in so well with the other ingredients.This recipe sounds awesome with the eggs and cheese and I think we will really enjoy it. No, I didn’t. 🙂 Good luck! Don’t think she meant to use so much dill. I love zucchini. This is different from any other ones Ive tried before. I can’t wait to give it a try! So eat and delicious! 2 thumbs up!